How tough is this toy? The Topple’s ranking = 3; Perfect strength for medium chewers. 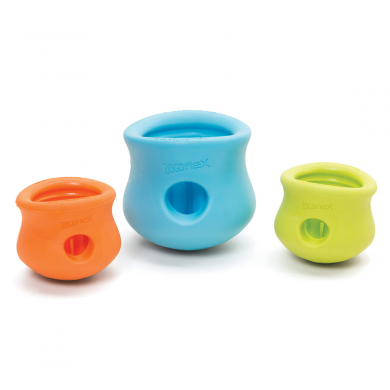 Keep in mind that these toys have been designed for interactive and supervised play. 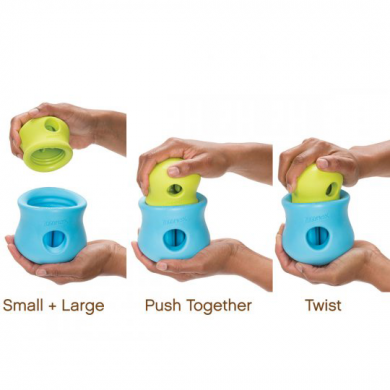 Toppl® is a great interactive toy for your mate. Trap your dog's favourite treats in its inner ridges. 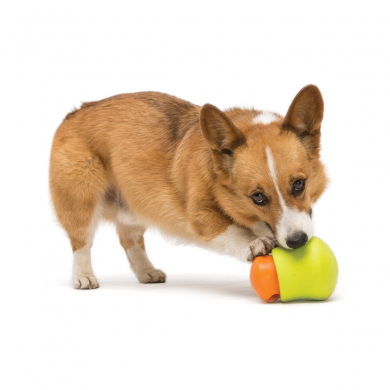 Your dog will tip the Toppl over and enjoy the entertaining challenge. 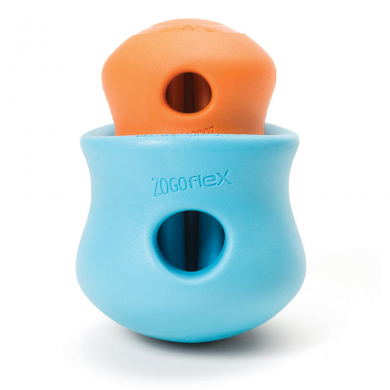 Take things up a notch by interlocking the two sizes (sold separately) together to make playtime over the Toppl. 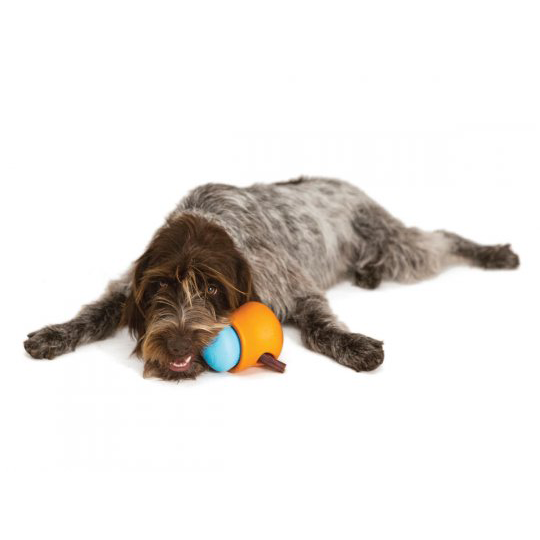 A great choice for smaller dogs, bigger dogs and clever dogs. 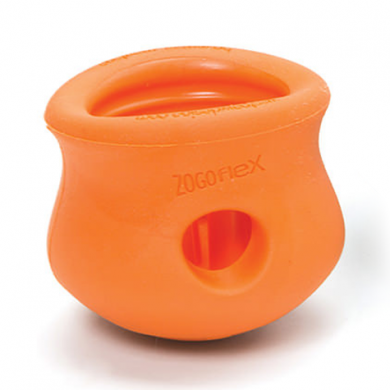 Like all of our West Paw's Zogoflex® dog toys, Toppl® is recyclable, latex-free, BPA-and-phthalate-free, FDA compliant (meaning it’s safe to eat off of), and Guaranteed to Last with medium chewing dogs. 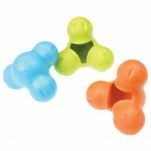 Puzzle toys are a great way to entertain active active dogs or put a little spring in your older dog's step! 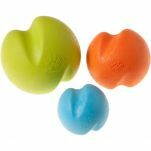 Toppl® easily snaps together to create a tasty treat dispensing toy that dogs will love to nuzzle and nudge. 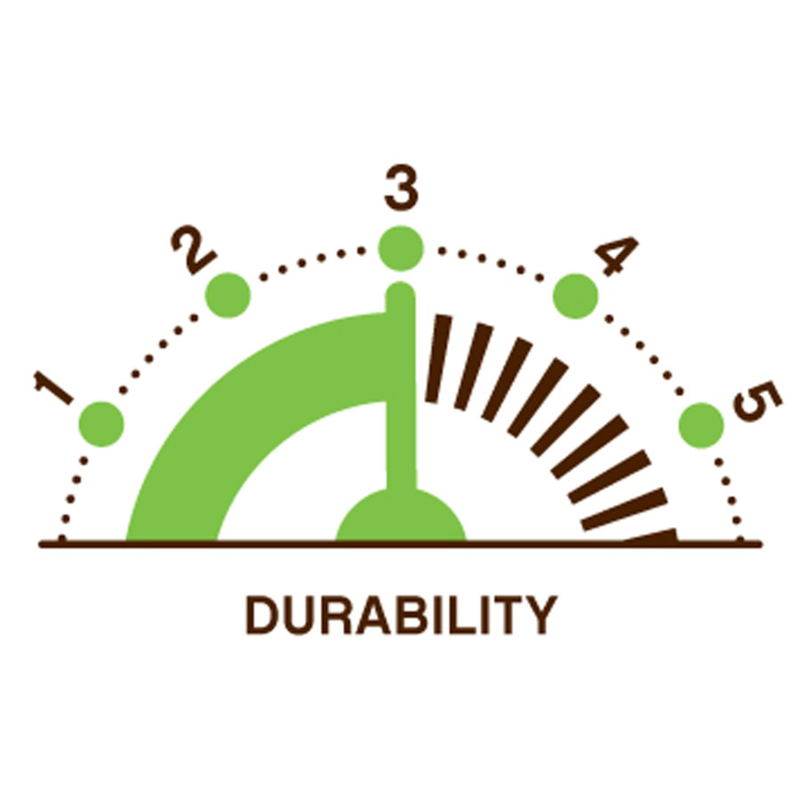 Durability Ranking = 3/5. Perfect strength for medium chewers. 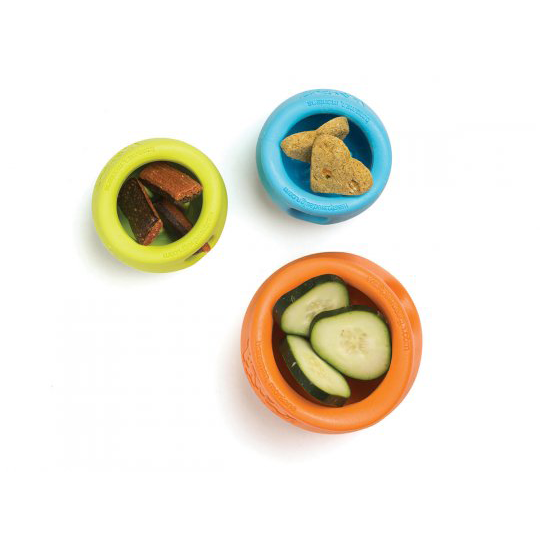 These toys have been designed for interactive and supervised play. 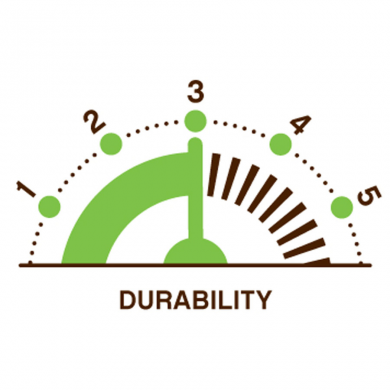 Read 1 customer review of West Paw Design Toppl. The average customer rating is 4. Lahna really likes this toy. It was very easy for her to solve (we bought both sizes and lock them together). Her first round at solving it lasted about 4-5 minutes, but I only screwed it in once to give her an easy first go. Her first interaction involved her trying all the usual tricks that work with other toys (throwing, shaking, pawing, nose-rolling) until working out a new technique. Her second run with it a few minutes later I locked in as far as it goes, and she had it undone in less than half that time.So while she knows how to quickly solve it, it's definitely a favourite, she also just likes to chew and throw it (and bring both halves back to me for refills lol). It's pretty durable, and she thinks it's pretty cool :DIt could use an extra peg or something, to help lock them together so that she has to pull the peg out before she can pull them apart.